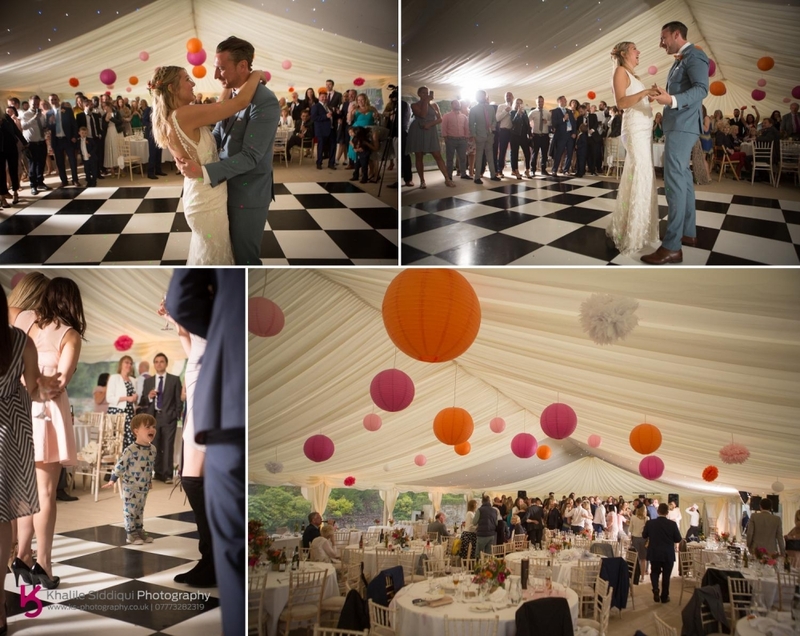 I always say that a wedding should be a party of a lifetime, and that's exactly what Carly and Joe's Pengenna Manor Wedding was! 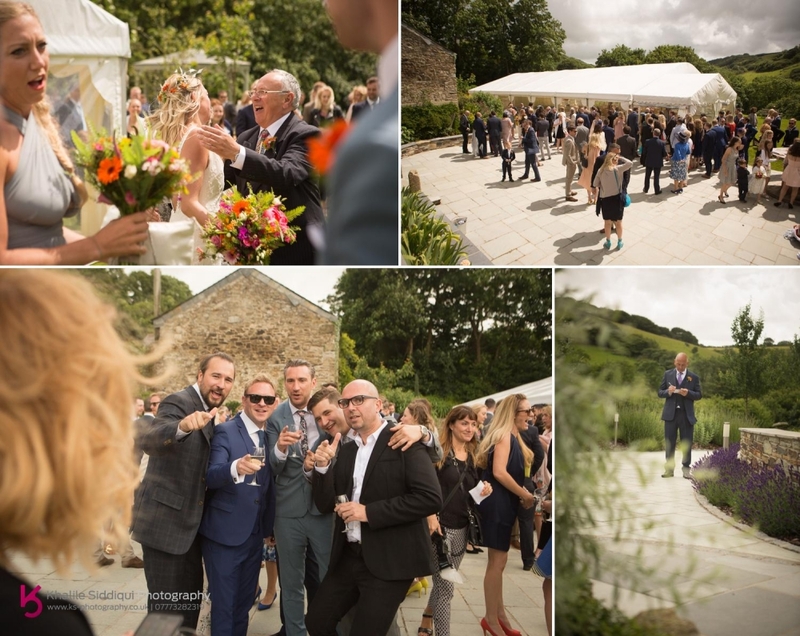 Filled with fun loving people from all over the country converging on this stunning North Cornwall exclusive venue. 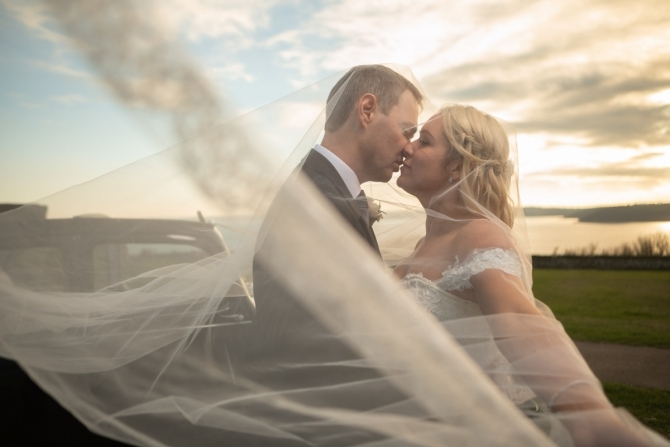 Carly and Joe came to us about a year ago to see about their wedding photography as well as Tamsyn (My multi talented wife) doing the girls makeup on the day after receiving a recommendation of our services. 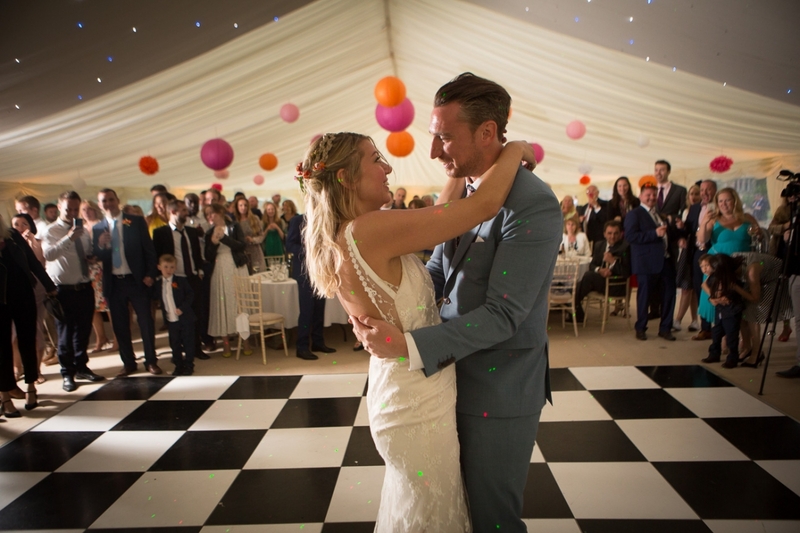 Carly and Joe explained that their wedding day was all about the party and painted a vivid picture of the colourful characters that would be attending their event. 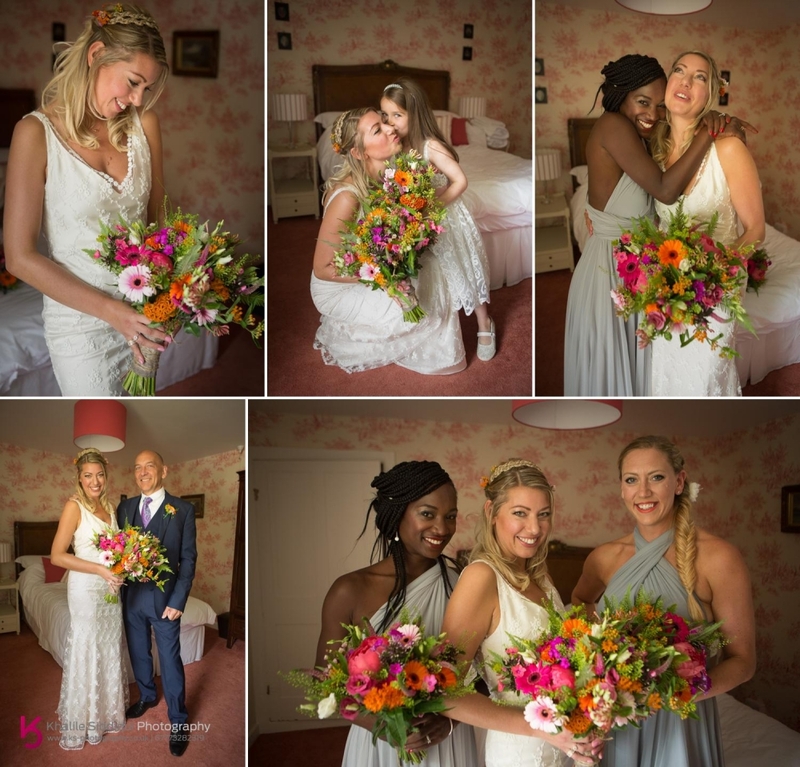 They wanted to keep the day flowing us much as possible with mainly a reportage approach to the photography. 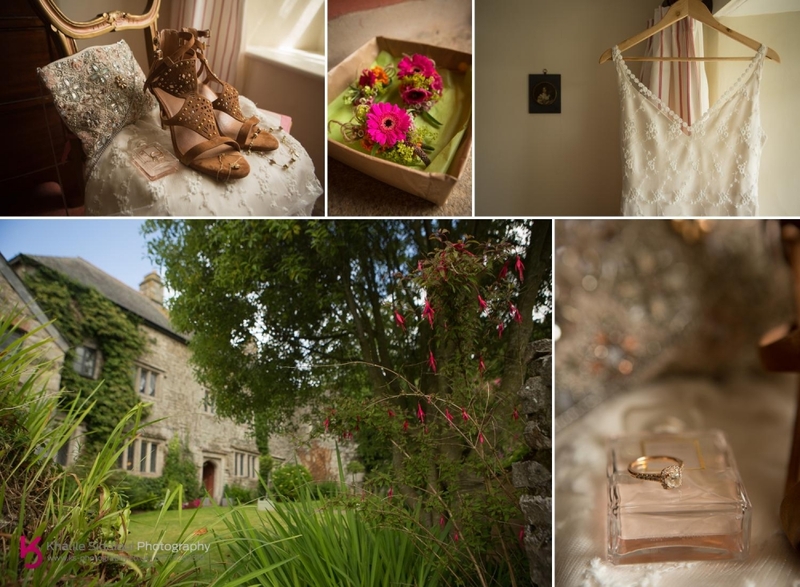 With that in mind, we started our day with me dropping Tamsyn off at Pengenna Manor to get on with the girls makeup while I headed to a local hotel near Port Issac where Joe and the boys were getting ready. On arrival after a forty minute search for Joe I was starting to get a little concerned that I was going to have to make a call that I've never had to make before, calling the girls to say that none of the groomsmen could find the groom! But eventually we found our hero in his honeymoon suit trying to work out how to use an iron. 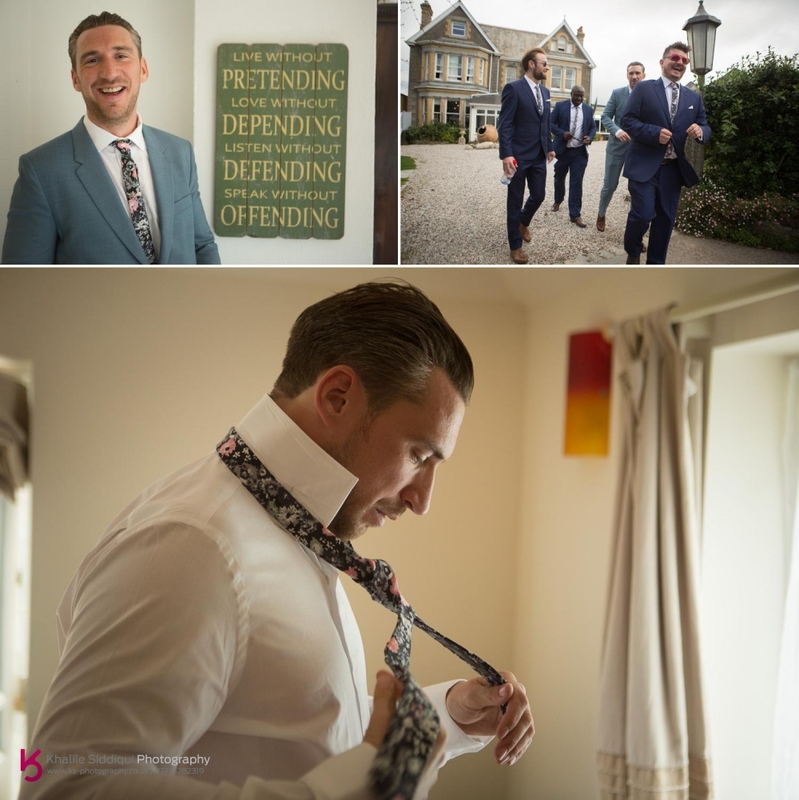 So after I'd ironed his Paul Smith shirt for him, we caught up with the other grooms men and I drove some of the guys back to Pengenna Manor. I left the boys to go and check out the Bodmin Marquee for some drinks while I headed to the house to find the girls. 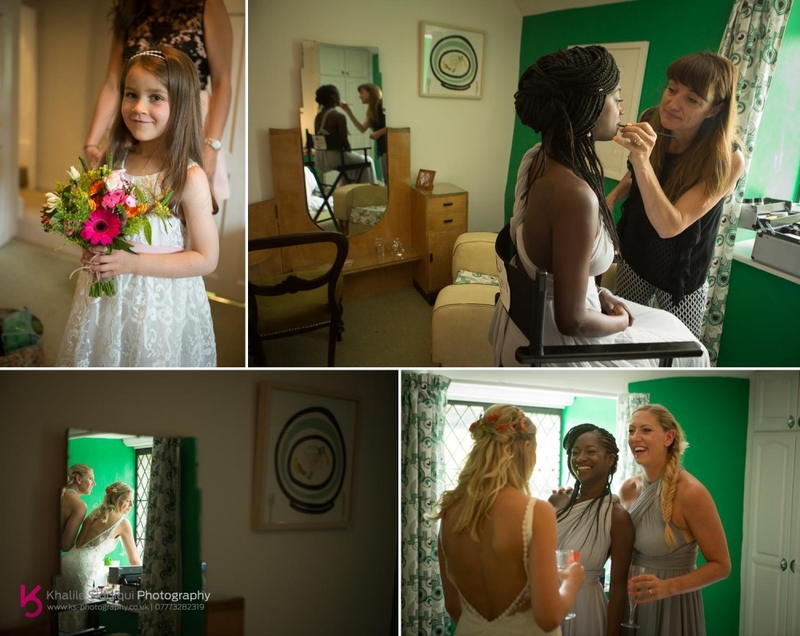 On arrival I found Tamsyn busy with the makeup, and she'd been joined by Joanne Innes of Gold Bird Hair Design who was cracking on with the hair. 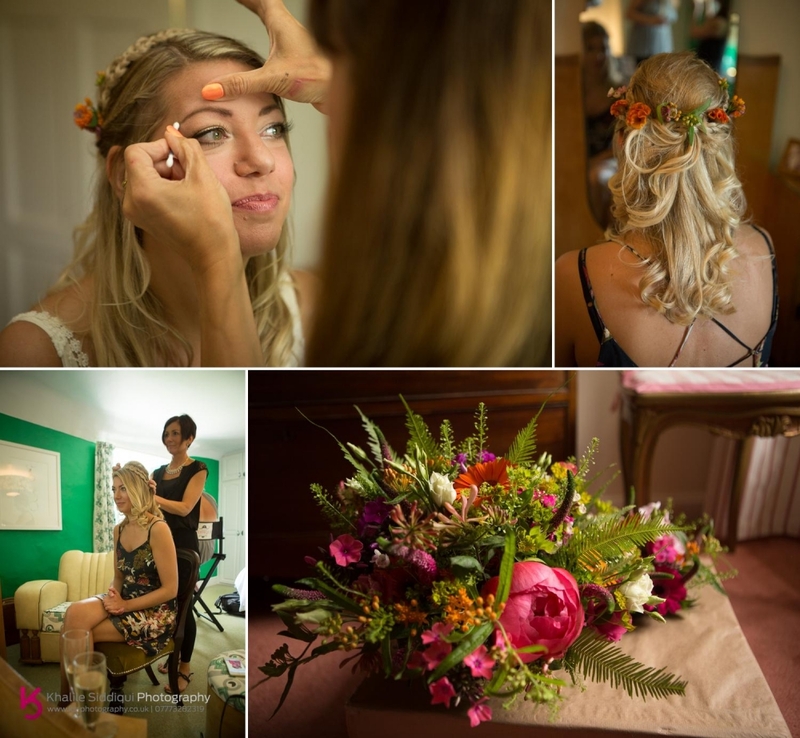 Carly chose the talented Flowers from Bruallen to fulfil their forestry needs, and when Elaine dropped them off she left some extra pieces which Joanne used in Carly's beautiful golden hair. 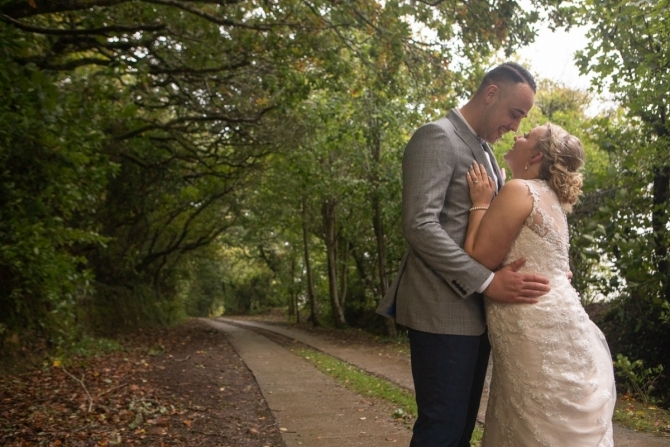 With the help of White Leaf Bridal Couture in Brighton Carly designed her own wedding dress! 10 minutes after the planned start time we were still waiting for the playful party goers to make their way to their seats for the ceremony, so we filled the time with a few relaxed photos of the girls and Carly's dad. 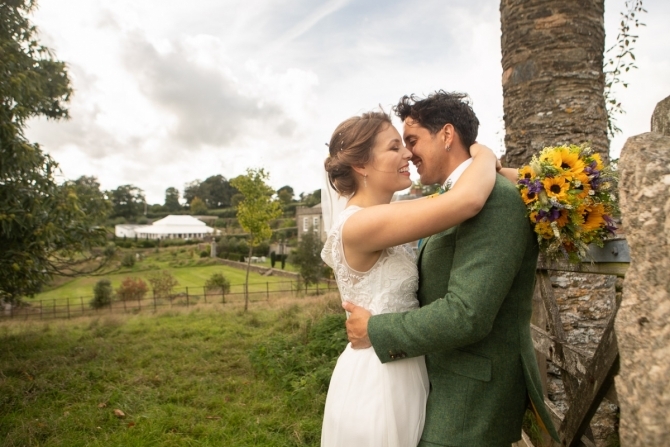 We got SOOOOoo lucky with the weather, there wasn't any rain forecast for the day, but a couple of minutes into the ceremony the wind picked up and after over 200 weddings I experienced my first outdoor wedding in the rain! But our hardy guests didn't move a muscle, and there was only enough rain just to make us feel grateful that it didn't rain for the rest of the day. As well as plenty of moisture in the air, there was plenty of smiles too. While drinks were taken on the terrace I popped into the marquee to get some shots of it before everyone headed in there, just incase the weather turned again. Inside I found their Tottenham Hot Spur over Newcastle United cake. When we had our final meeting before the wedding day Carly said that they didn't want to go off for photos on their own and instead could I just get some nice photos of the two of them together throughout the day without them knowing. 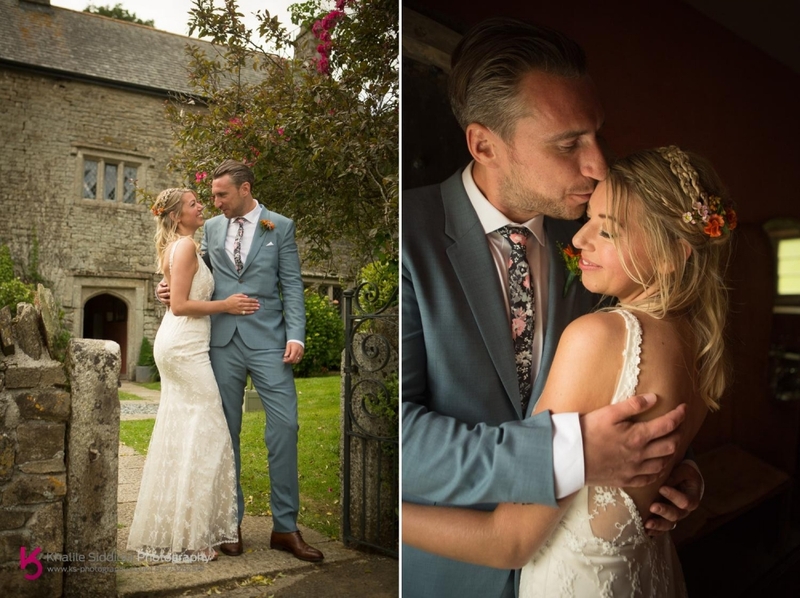 To which I pointed out that if their wedding was like 99% of the other weddings we've shot the two of them would hardly see each other on the day, as they'll get pulled apart by well wishers all day. So while the guests sat for the wedding breakfast I collared literally a couple of minutes with our happy couple. 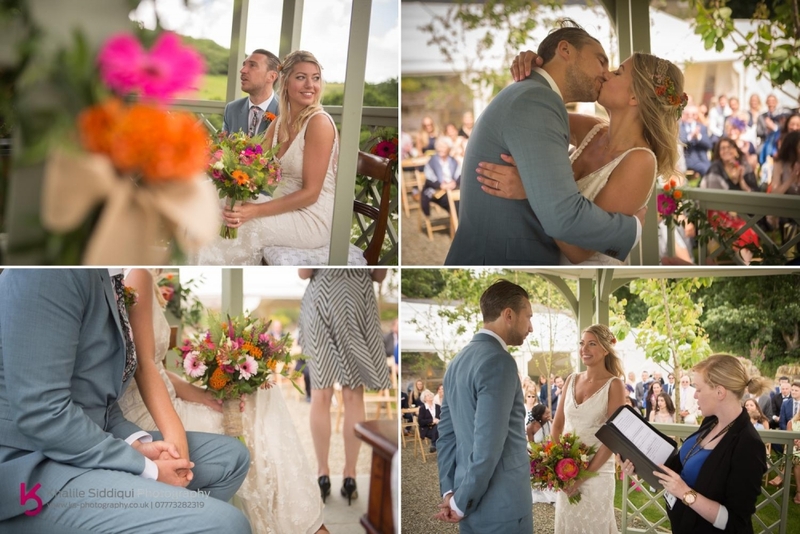 The day flowed straight into the evening and the band Sticky Fingers that Carly and Joe had travel down from Brighton cracked on as soon as the speeches were done.